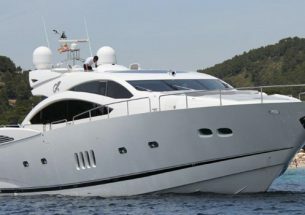 This impressive Sunseeker Camargue 46 motor cruiser is the ultimate choice for space and comfort. Offering an overall length of 46.5ft, while also benefiting from the 13ft beam, makes this perfectly proportioned for a day’s cruising. The one-level design magnifies the huge cockpit of two separate seating areas, a u-shaped lounger and rear sunbed. The bow also offers an extensive sunbathing area. 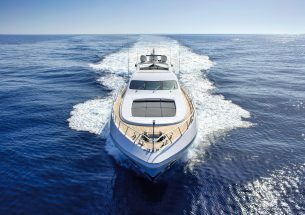 The wide side decks are a big feature on this boat, allowing easy access onto the bows extensive sunbathing area, great for panoramic viewing. 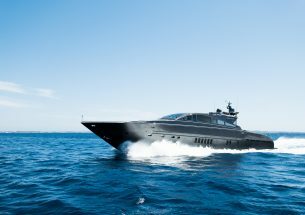 Below deck offers two stylish en-suite cabins, a spacious carpeted salon and large fully equipped L-shaped galley. 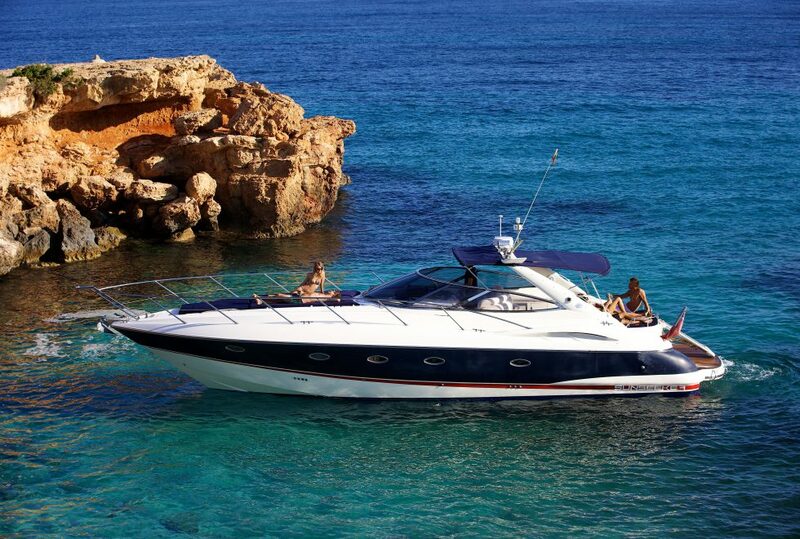 This is the perfect boat to indulge in exploring Ibiza and Formentera’s best bays, beaches and restaurants and can charter together with the Rinker for groups of up to 21 people. The price includes skipper, some beer, wine, water & soft drinks, mooring in base port, full insurance of the boat and personal accident insurance.